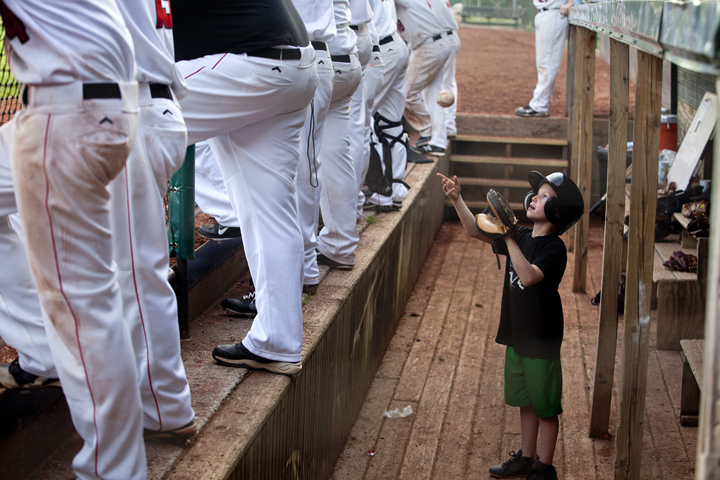 Batboy Carson Niehaus of Holland, 8, threw a baseball in Southridge's dugout during Saturday afternoons game against Southport in Huntingburg. This entry was posted on April 5, 2012 by Brooke Stevens. It was filed under Baseball, Sports .